When the cooler weather rolls in, one of the best accessories to add to your wardrobe is a scarf. Not only do they keep your neck and chest nice and warm, they can also add to your outfit. The best part is they don’t take a lot of effort to wear! Everyone should have a few scarves on hand for different occasions. 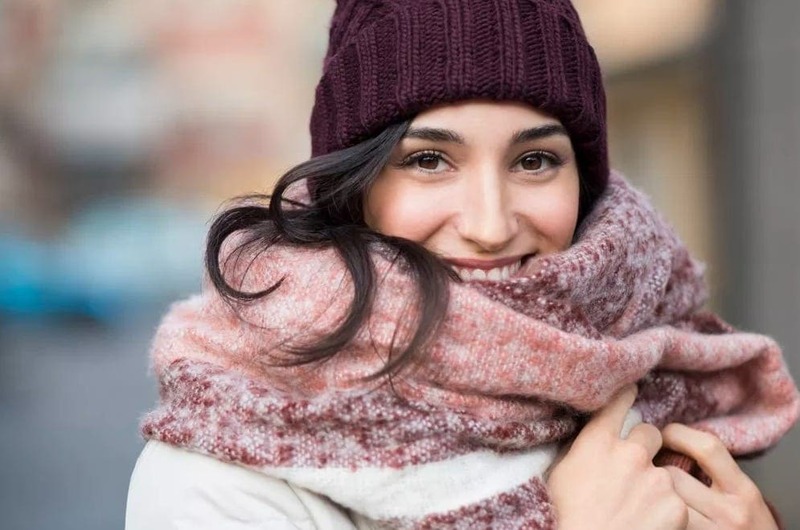 Colorful scarves can add a splash of color to an otherwise bland outfit, and when it’s really cold outside, a wool knit scarf can help you keep warm. They’re not expensive and they don’t take up much space in your closet, so go ahead and find the styles that catch your eye. In addition to experimenting with different kinds of scarves, you can also experiment with the way you wear them. There are quite a few cute and stylish ways to wear a scarf – here are some of the best. This style is ideal when it gets cold out, and it is one of the least complicated knots that you can use. The European knot has a refreshing French look, and is ideal if you want to look smart and put together. It works well with a jackets or a blazer and can really help your outfit come together. Pick out a scarf that matches the color tone of your jacket and you’re all set. It is definitely worth the effort! This one is great for business wear. Chances are you head off to the office dressed professionally. If you want to spice up your look, you can add some interest to your style with the fake knot. It looks work appropriate and of course, is very easy to do. It’s so easy, in fact, that it has the word ‘fake’ in it! It’s also a great way to stand out from everyone else at work. You can choose a brightly colored scarf if you want to add an accent to your outfit. This one is for the urban warriors who like to keep things casual but rugged. It is as simple as running the scarf twice around your neck. This nonchalant approach to wearing your scarf is going to arouse curiosity in your style. You can rock this style with a wide variety of jackets including denim, bombers, sports coat or even a blazer. It is stylish and efficient. This one has got to be the easiest one of them all and one of the most effective styles. If your scarf is made of an exotic material like Cashmere that is styled with elegant artwork, the elegance of this look is magnified. Simply place the scarf around your neck and let it adorn your torso with pleasing symmetry. This looks work the best with monochrome outfits. Try out these styles today to compliment the attire that you will wear during the rest of the winter. It will keep you cozy and warm and looking your best.